This month’s featured Office Space Macclesfield tenant is Acquire. As the leading business development consultancy in the North West, Acquire provide the creative industries with results-driven, focussed, cost-effective and innovative business development services. With over 20 years of combined experience we work with companies of all sizes to visibly enhance the way they develop their businesses, helping to achieve their commercial objectives in an efficient, targeted and seamless manner. Our brand of business development is an alchemic concoction of honesty, tenacity, psychology and intelligence coupled with a passion for effective communication and enhancing relationships. We make it our business to understand your requirements and implement strategies to effectively help you meet these. You could say we act as a professional, high-end matchmaking service for agencies and clients, helping to secure worthwhile connections and nurturing their growth. We help agencies find and develop new business and we match clients with agencies who can deliver their requirements. 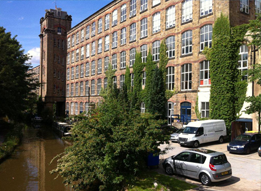 Adelphi Mill Offices Macclesfield provides office space to let in Macclesfield to businesses ranging in size from one man start-ups through to international PLCs. Due to demand we have recently created a number of additional smallers 1 – 3 person offices. 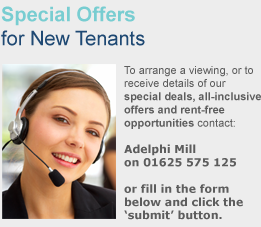 Adelphi Mill Office Space Macclesfield is located in Bollington and provides the best value office space in the Macclesfield area. Contact us to arrange a viewing.